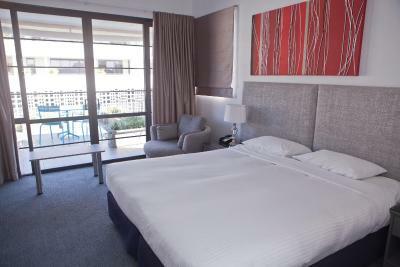 Lock in a great price for Savoy Double Bay Hotel – rated 8.2 by recent guests! Fantastic location close to the ferry terminal and therefore easy to get into the city, though ferries only run every hour on the weekends. 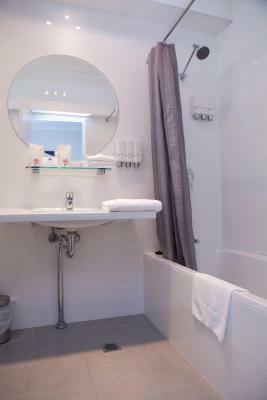 Comfortable bed, brilliant bathroom (best shower I’ve ever had! 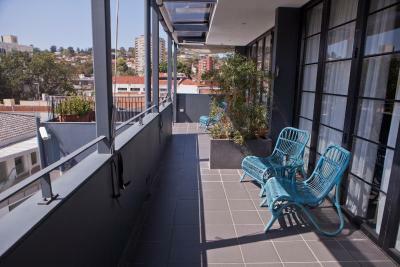 ), friendly & helpful staff and a most central location within lovely Double Bay. The location was great, the staff were friendly, the optional parking was convenient. The double room was fairly small, but fine for an overnight visit. Extras in bathroom, eg shaving cream, body lotion. The staff was helpful when we asked. You’re supposed to pay to use the WiFi for some reason. And the system had issues so the gave out daily tokens for free WiFi. The last day we were there. They ran out of tokens so we didn’t have WiFi!! The staff was helpfully when we checked out. They held our luggage for a few hours while we went into town and allowed us to clean up before we head to the airport. 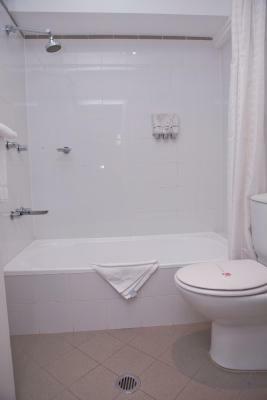 We had a family room so were a little cramped, and our bathroom looked nothing like the pictures, but overall there were good facilities and the staff were lovely and very helpful. We upgraded to a superior queen room. It was so much nicer than or friends standard room. Work the extra dollars if you can spare it. Character property that allowed guests to observe and get a feel for its community. Happy to find champagne glasses and ice bucket so I could enjoy a drink on the balcony while watching the community in the street go about its evening business. 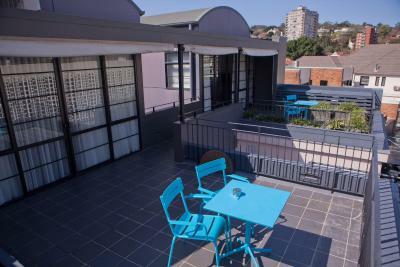 Good value for money over NYE, good location in Double Bay. 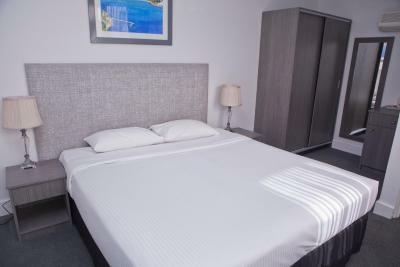 Savoy Double Bay Hotel This rating is a reflection of how the property compares to the industry standard when it comes to price, facilities and services available. It's based on a self-evaluation by the property. Use this rating to help choose your stay! 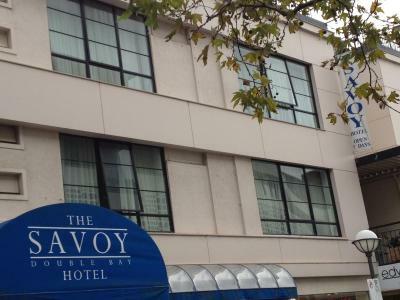 Located in the heart of Double Bay, just 2.8 mi from Sydney city center, The Savoy Hotel features free WiFi and a selection of rooms and suites with a flat-screen TV and an private bathroom. Restaurants and cafes are within a 2-minute walk of the Savoy Double Bay Hotel. Edgecliff Railway Station is less than 10 minutes’ walk away, providing easy access to all of Sydney’s attractions. 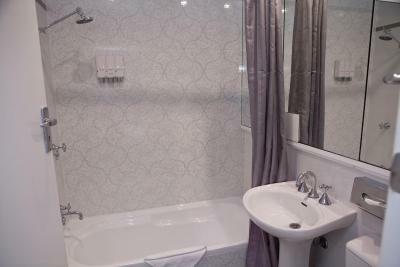 Each air-conditioned room features a direct dial telephone, heating and an private bathroom with shower or bathtub, hairdryer, toiletries and large mirrors. 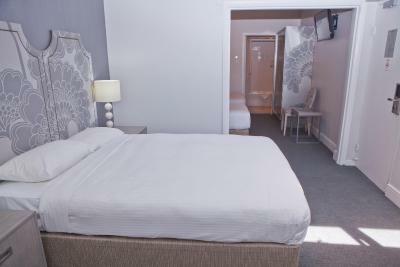 Executive suites include a lounge area and a rooftop terrace for outdoor entertaining. Secure covered car parking is available nearby. Guest laundry facilities and a same-day dry cleaning service are also available. Double Bay is a great choice for travelers interested in restaurants, beaches and harbors. When would you like to stay at Savoy Double Bay Hotel? 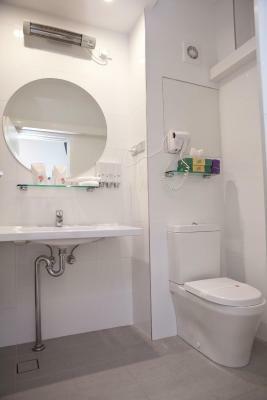 This smaller air-conditioned room offers an private bathroom, a flat-screen TV with digital channels, a small refrigerator and tea/coffee making facilities. Please note that this room does not have external windows. 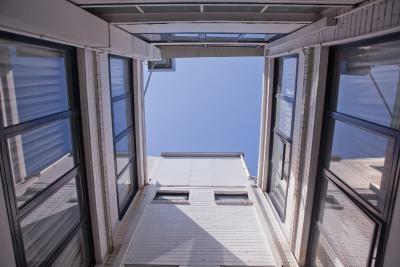 The shuttered windows look internally into a glassed-roofed atrium. 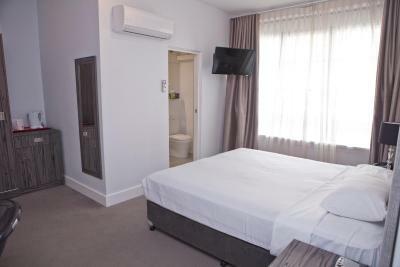 Most rooms are renovated featuring an private bathroom or walk-in shower, an iron and ironing board, digital TV, WiFi and tea/coffee facilities. On a higher floor, these rooms feature a private balcony, air conditioning, French doors and tea/coffee-making facilities. 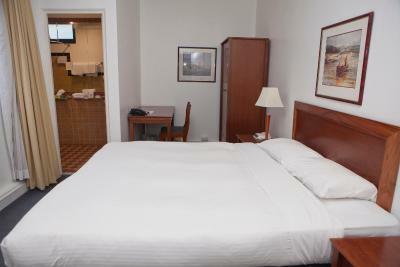 This room features air conditioning, flat-screen TV and tea/coffee-making facilities. 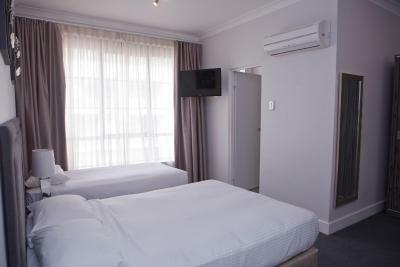 This room features a mini fridge, iron and ironing board, digital TV, WiFi and tea/coffee facilities. 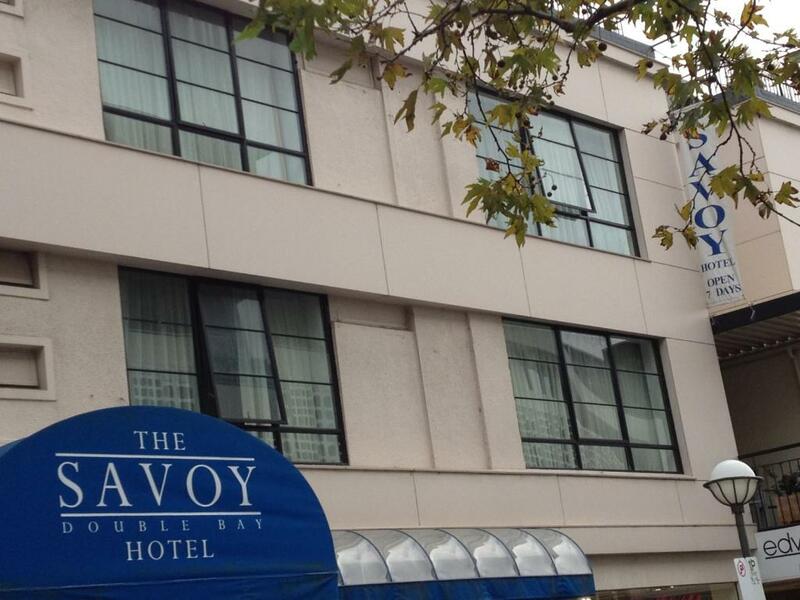 The Savoy Double Bay Hotel is a 3.5 star hotel in a 5 star location. 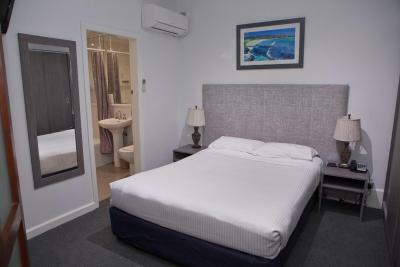 A small friendly boutique hotel with a relaxed casual environment, we enjoy easy access by train, bus or ferry to all key Sydney tourist destinations. After a busy day of business or sightseeing, Double Bay's village atmosphere is a welcoming place to return to. 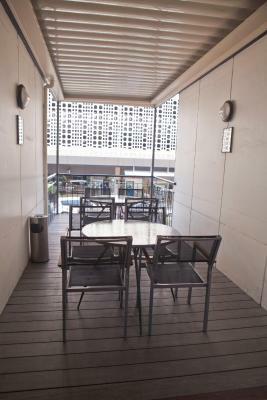 For dinner or a late supper, you can find a whole array of cafes or restaurants for the choosing just outside the door. For those who love to shop, there is designer shopping galore or something for the budget conscious too. Hotel surroundings – This neighborhood is a great choice for travelers interested in restaurants, beaches and harbors – Check location Excellent location – show map Guests loved walking around the neighborhood! WiFi is available in the hotel rooms and costs AUD 4 per 24 hours. House Rules Savoy Double Bay Hotel takes special requests – add in the next step! 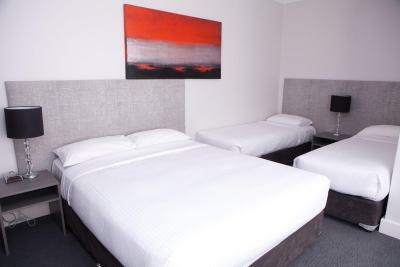 All children under 6 years are charged AUD 35 per night for extra beds. 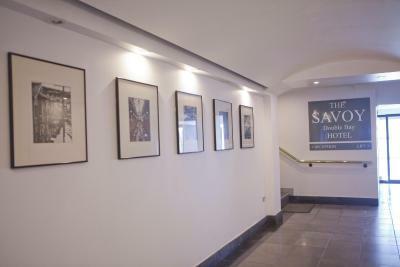 Savoy Double Bay Hotel accepts these cards and reserves the right to temporarily hold an amount prior to arrival. I was woken at 3am by drunk people screaming, yelling and banging on doors. Apparently there was a medical emergency but I could hear everything and it was a complete over reaction. There was no issue. The ambulance arrived and confirmed everything was fine. Extremely frustrating as this went on for over an hour. I’m not sure where hotel staff were but it could have been resolved in 5 minutes if someone was around to help. Completely selfish of the people who would not stop carrying on. TV volume in room next door to ours(215)was a bit too noisy on Sunday night but what could anyone do about that ? An extremely enjoyable stay. We will be back. Noisy. Urine splashes from last guest weren’t cleaned up despite me raising this! Good bed. Gave late checkout and partial refund for the concerns I raised. 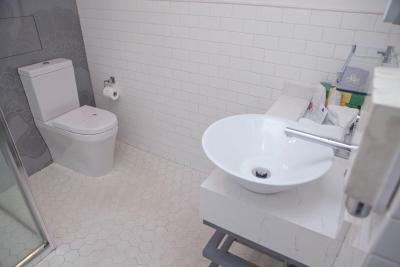 The common areas and bathroom were a bit dated, but cheaper than some others around. Overall a great place to stay, looking forward to my next trip! 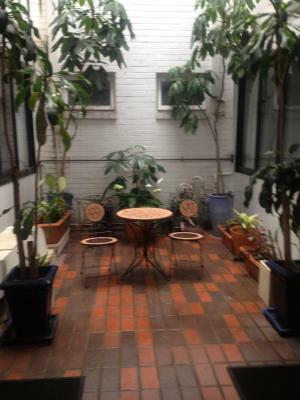 Great location in the centre of Double Bay. Several cafes and restaurants rights on the door step. Room was tidy, clean and comfortable with a nice view. Location was perfect! Next door to amazing cafes, restaurants and bars. One of the staff was of enormous help. Its a great place to stay for families, nice area with places close by to eat. 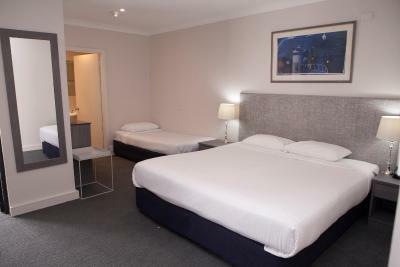 Its a great place to stay as its a short walk to catch the ferry to circular quay to board a cruise ship. The door to my room was frosted glass with a curtain on the inside to ensure privacy. The room had no window. 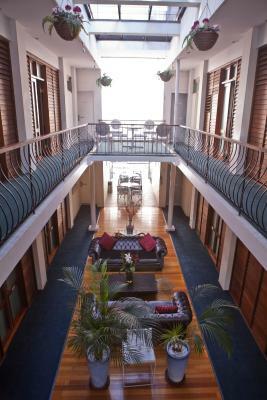 The location is excellent with a good choice of restaurants within walking distance. 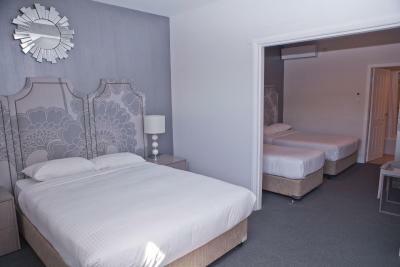 Great little hotel in the heart of Double Bay.